Gay Head Gallery has been rechristened Sargent Gallery. 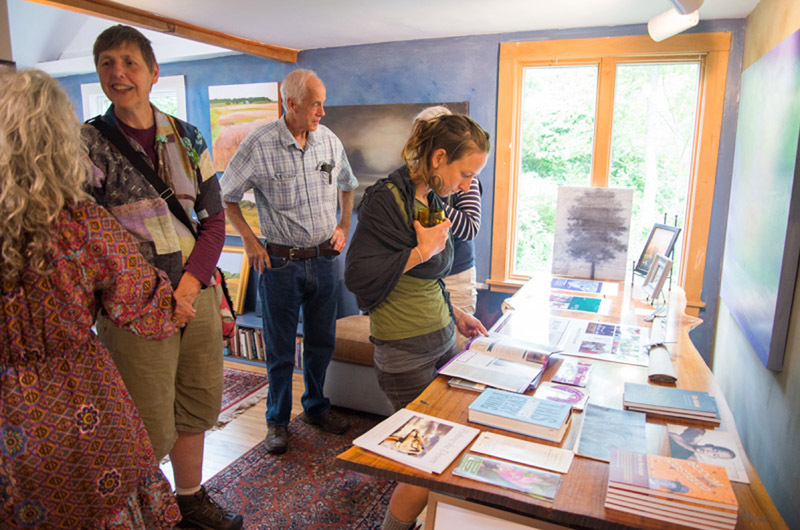 Last Sunday, people strolled from their cars lined up on State Road in Aquinnah to the newly named Sargent Gallery (former the Gay Head Gallery). The building was originally built on a small plot of land given to the Daniels family in the 1920s, after their house burned down during a fire in Lobsterville. It was a post office when David Flanders’ father was the postmaster, and in 1988 the Sargent family bought it and turned it into the Gay Head Gallery. 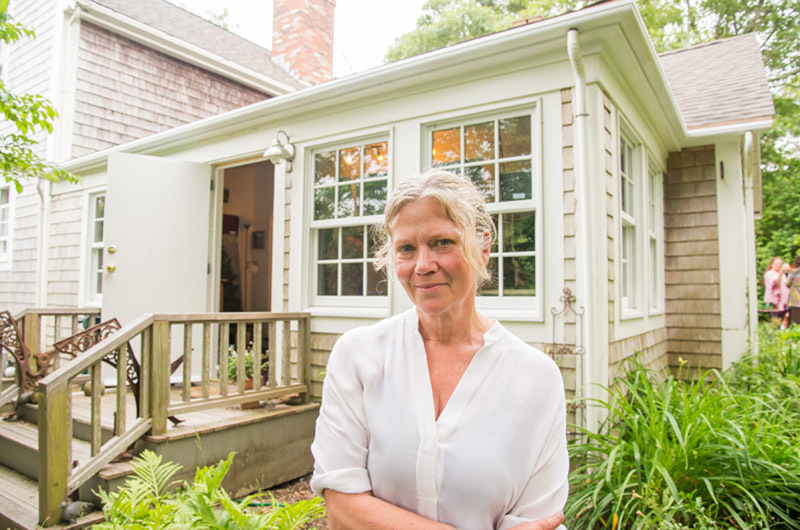 But this summer, Megan Ottens-Sargent has rechristened the building in honor of her husband and the melding of her life’s passions — art, and environmental conservation and advocacy. The reception reflected these themes and a little bit more. John Athearn’s paintings of the sea and sky hung just through the front door of the gallery’s porch. 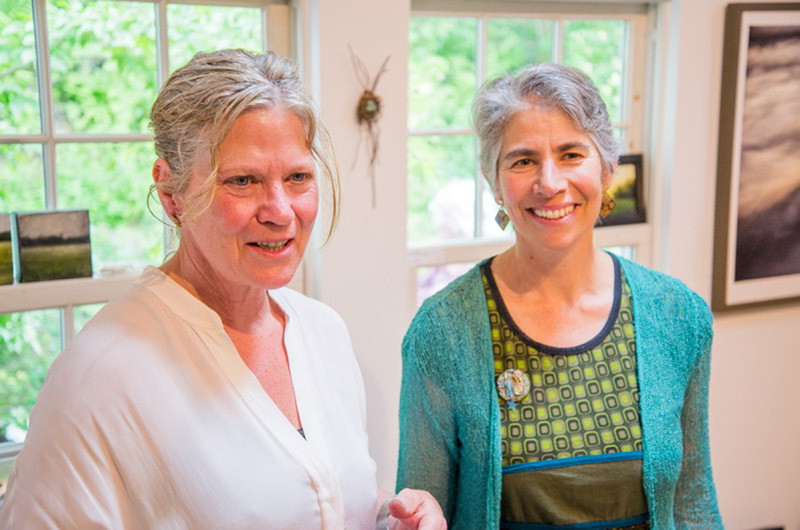 Artists JB Howell and Elizabeth Lockhart Taft were featured next, followed by photographer Marjorie Wolf, jeweler Janette Vanderhoop and many others. 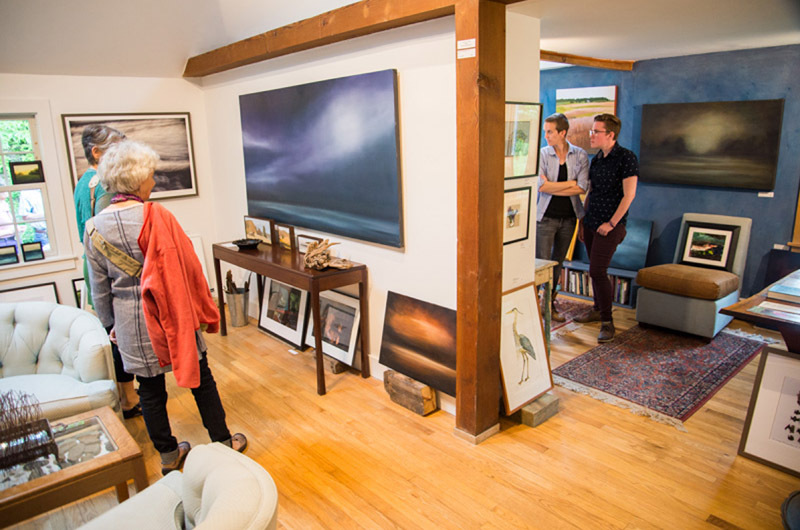 The work of about 20 local and off-Island artists was exhibited, most capturing natural scenes. Ms. Sargent and her daughter, Anastasia, collected and arranged all of the artwork for the show. Ms. Ottens-Sargent stood in front of National Geographic photographer Joel Sartore’s photograph of a painting of a North Carolina red wolf, one of the most endangered animals in the country. “It’s an interesting gallery because it is about environmental stewardship but also with a focus on endangered species,” she said. The evening also featured speaker Shelley Silbert, executive director of the national nonprofit Great Old Broads for Wilderness. The Colorado-based organization was founded in 1988 by a group of older women who wished to protect U.S. national lands. “Broads” has grown to 8,000 members, and is not solely for old broads. Men and women of all ages make up the organization. Ms. Silbert spoke about the nonprofit’s mission to end governmental policy allowing corporations to lease national lands for fossil fuel extraction. Ms. Silbert told the crowd that they should be more concerned because they live on an Island. Rather than despairing or denying the problem, people should use their voice as citizens and start figuring out what they can contribute in repairing the otherwise doomed human-environment relationship. “When we look at the share of greenhouse gas emissions, they’re coming from the same lands that were set aside for the American people, of which we have a responsibility and a say of what happens to them,” said Ms. Silbert. Before thanking her guests, Ms. Sargent echoed Ms. Silbert’s call for hope. “You have to be optimistic, it’s the only way we are going to see things get better,” Ms. Ottens-Sargent said. Visit sargentgallery.org for a list of artists represented and more summer events planned. Best wished for success with the new concept as the Sargent Gallery. I will visit despite it being a schlep up island.